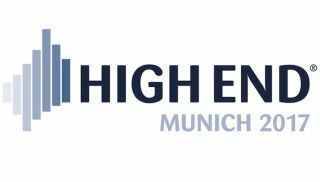 Munich High End Show 2017 - news, highlights, best new products | What Hi-Fi? The High End Show has arrived for another year, with a plethora of high-end hi-fi products poised to be revealed. Those wanting a sneak preview of the latest tech in the United States head for the CES show in Las Vegas every January. If you're a hi-fi and home cinema enthusiast in the UK, then the Bristol Show is for you. And, for mainland Europe, Munich's High End Show is a shining light. If you can't get out there yourself, this page is the next best thing. What Hi-Fi? will be reporting live from Munich on all the latest kit announcements, so whether it's amplifiers, speakers or turntables you're interested in, we'll have it covered. A huge number of exhibitors will be attending the event, including familiar big-name brands names such as Arcam, ATC, Bang & Olufsen, Burmester, Cyrus, Dali, Focal, Krell, McIntosh, Meridian, Monitor Audio, Naim, Oppo, PMC, Pro-Ject, Quad, Rega, Sennheiser, Technics and Wilson Benesch. Claiming it's the firm's "finest design to date", Astell & Kern has a new flagship portable music player, following last year's five-star AK70. Audeze will be unveiling (or launching - take your pick) its latest flagship in-ear headphones - more details on those as soon as we know them. AudioQuest has a couple of rooms in Munich in which to show its NightOwl and NightHawk Carbon headphones alongside its DragonFly Black, DragonFly Red and JitterBug DACs. It will also show off its flagship Bluetooth HD wireless headphones, the ATH-DSR9BT. Coming to Munich with a pair of headphones that have an unusual name and a sobering price-tag, Beyerdynamic will be demonstrating the Xelento Wireless (the cord-cutting version of the headphones we saw at CES 2017) at its booth. The Xelento Wireless have support for Bluetooth aptX HD, but can switch to regular aptX or AAC formats if your kit doesn't support the higher-quality audio. Beyerdynamic also says the Wireless will get approximately five-and-a-half hours of playtime from a single charge. "Something's brewing at High-End Munich" from Dyaudio but, unfortunately, we don't know what yet. No new products from Eclipse this year, but it is showing its five-star £3840 TD510ZMKII speaker as well as two £3000 TD520SW subwoofers to demonstrate "the performance benefits of multiple subs." From this Norwegian manufacturer comes the Rena S-1 and Rena SA-1 music streamers, the ECM 1 lossless streamer, and the company's first subwoofer. The company's brand new E Series headphones - the E2000 - will be on display this year. The wired, 3.5mm-jacked headphones have stainless-steel mesh on the back of each housing, and a swing-fitting earpiece mechanism that lets you better tilt the headphones left and right into the ear canal. Gamut has its single mosfet amplifier playing at Munich this year together with some Rel subwoofers, G9 valve amps from Russia and the cast-iron Jern 14 DS loudspeakers. Genelec has two new loudspeakers, named 'The Ones'. Details are still under wraps at the moment about their design and sound, but we'll bring you up to speed once we see them in Munich. Leema plan to show off a new Pulse amplifier, with built-in DAC and phono stage - the company seems to be making moves towards higher quality audio, with a 32-bit/384kHz DSD-files supported as well as aptX Bluetooth for your smartphone. The MXA80 will be on display from McIntosh this year, a £7500 sound system that can handle hi-res music (32-bit/384kHz), as well as DSD and DXD files. McIntosh has also hinted a new product will be revealed at the show, but as yet we still don't know what it is. That's hints for you. Naim's line-up at Munich this year will focus on its Uniti range of music streaming players, which includes the Atom, Star and Nova, as well as the Core central audio server. Accompanying these are the wildly successful Mu-so and Mu-so Qb models. PMC is keeping its cards close to its chest, saying only that its new product will be "a major surprise and talking point for the hi-fi world". It's an impressive claim, but will PMC be able to put its money where its mouth is? As well as the Big Reveal, PMC will also be demonstrating its MB2 XBD SE loudspeakers and twenty5 series. From Q Acoustics are the £4000 Concept 500 speakers, which it quietly previewed at the 2016 show. The speakers have a couple of low-distortion 16.5cm mid/bass drive units and a 28mm soft-dome tweeter, and feature similar Dual Gelcore technology to that used in the five-star Concept 20 and Concept 40 speakers. Under the tagline, "Traditional values - reinterpreted", Thorens is using Munich to introduce its 900-series of turntables: the TD 903, 905, and 907. While no details have been released yet, Wharfedale will apparently have "a gem of new speaker to be unveiled…". We'll let you know as soon as we have more information, so watch this space. Some £35,500 floorstanding loudspeakers (pictured top) will be representing Wilson Benesch, the latest in the company's Geometry Series. WB says they are designed using the same CAD/CAM systems used in the development of F1 and aerospace technologies, but does that mean they sound good? We'll find out in Germany. Last year's highlights included some tiny earphones from Final Audio - the smallest 3D-printed cans in the world, while Focal unveiled its Sopra 3 floorstanding speaker. Munich was also where PMC announced its twenty5 series speakers - both the twenty5.22 and twenty5.23 subsequently received five-star reviews from us. And it's not just hardware in the spotlight. The adoption of MQA technology by Bluesound for its multi-room system, and by Warner Music Group on streaming services, also made the headlines in 2016. Though many manufacturers are currently keeping their cards close to their chests, What Hi-Fi? will be bringing you all the previews as soon as they're available. Munich High End Show takes place from the 18th to 21st May at the MOC Ordercenter München.